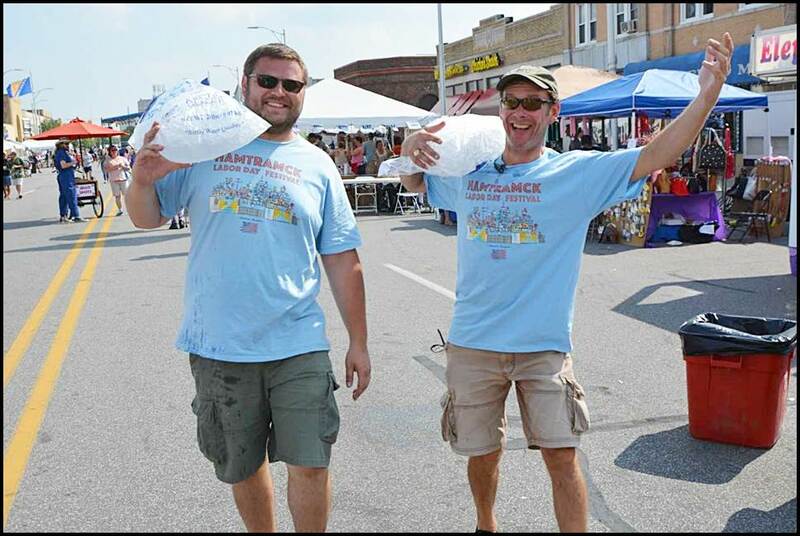 Hamtramck Labor Day Festival organizers Konrad Maziarz and Shannon Lowell could use some helping hands this year. The festival will be held Sept. 1-3. The Hamtramck Labor Day Festival is once again gearing up, and organizers could use a little help. Volunteers are needed for a number of jobs, such as setting things up, cleaning the festival grounds, running supplies and a ton of other tasks. According to the festival’s Facebook page, the experience will be fun. Yes, you read that right, you will get a T-shirt, and five free drinks. • Saturday/Sunday/Monday in 4-hour shifts. • Tuesday from 10 a.m. to noon, clean-up. Also, this year’s poster design is out, and it was created by local artist Emily Wood. The music line-up has also been announced, and it’s going to cause a heat wave. Motown recording legends Martha Reeves & the Vandellas, yes, of “Heat Wave” fame, will play on Monday at the south stage at 9 p.m., which will close the weekend. Also featured are some of the best Detroit garage bands, such as Detroit 442 (5:30 p.m., Monday at the north stage) and The Muggs (8:30 p.m. on Monday at the north stage). A new band worth catching before they hit the big time is the Craig Brown Band (8 p.m. on Saturday at the south stage). Favorites Danny D will be on hand (5 p.m. on Sunday at the south stage) who will be followed at 7 p.m. by the Polish Muslims. I was a teacher for just short of 40 years in Hamtramck. Ist at St. Ladislaus and then I retired last June of 2017 from Hamtramck Public Schools (Dickinson East). I really miss the chance to read the Review each week. Yes, I’ve found that I can get it on the computer, BUT, is there anyway that I can subscribe to the Review, and have a copy sent to my hoe each week? Years ago I use to receive the Citizen. Thank you for your informative paper. N. Shipman, CLawson, MI. sorry nancy, but mailing out the paper got too expensive, and the post office regulations got too maddening.